Home › Benefit Concert › Smokey Robinson Gala raises over $325,000! 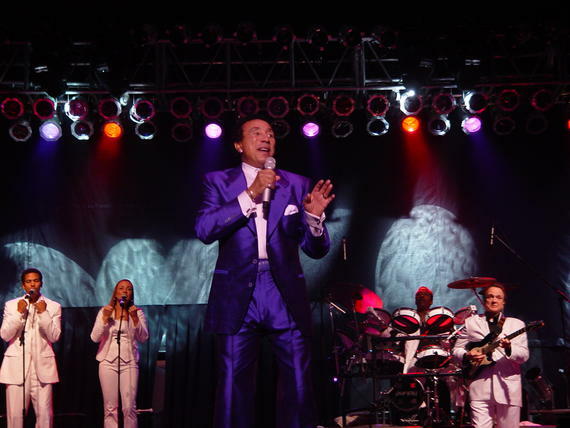 Smokey Robinson Gala raises over $325,000! On Friday, May 14, 2010, at the Palace Theatre in Stamford, CT, the Grammy Award® winning member of the Rock and Roll Hall of Fame, Kennedy Center honoree, and “King of Motown”, SMOKEY ROBINSON thrilled over 1,000 fans with stories of Motown and some of his 70 Top-40 hits like BEING WITH YOU, OOH BABY BABY, JUST TO SEE HER, TEARS OF A CLOWN, TRACKS OF MY TEARS and more, plus some of the great songs from his new album, “Time Flies When You’re Having Fun”. ‹ FDA rejects Zavesca panel recommendation. 1 Pings/Trackbacks for "Smokey Robinson Gala raises over $325,000!"